Kodierer [Coder]: The Ultimate Gift Card - Two Visual Studio 2010 Ultimate MSDN Subscriptions To Give Away! The Ultimate Gift Card - Two Visual Studio 2010 Ultimate MSDN Subscriptions To Give Away! It's over, I picked two people from the comments that deserve the MSDN Subscription cards the most. Thanks! 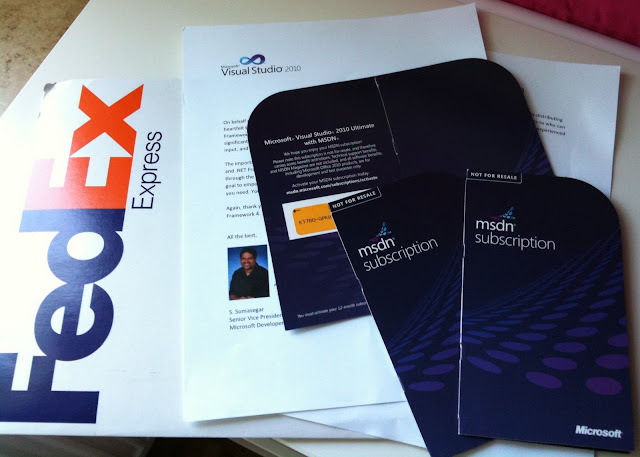 I recently got three Visual Studio 2010 Ultimate MSDN Subscriptions cards from Microsoft. They are valid for one year, include the whole Ultimate features and can be used for development and testing purposes. Ultimate includes Visual and Expression Studio,Windows, Office, Windows Server, SQL Server, TFS, all other server products, ... and even some Azure benefits are packed in. Only the support and the MSDN magazine are excluded. The one year Ultimate subscription is worth approximately $12,000! And the best thing, I have two cards left I can give away. What a great gift from Microsoft! I want to give my two remaining cards to the Windows developer community. If you want one, just write a comment why you should get this great gift and make sure to include some form of contact information. Did I mention that these are full Ultimate subscriptions worth $12,000? 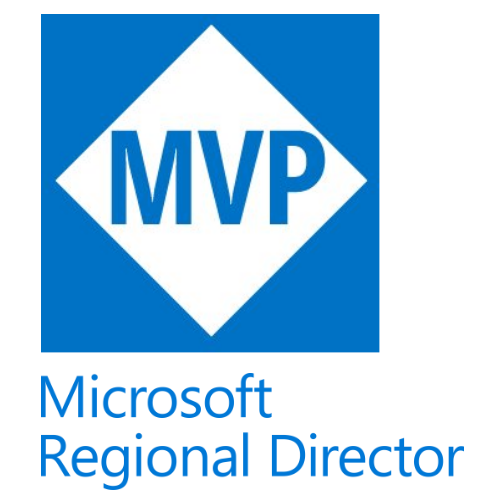 I will prefer people who make significant contributions in the .Net open source world. Of course, your chance is even better if these contributions are for Silverlight or Windows Phone 7. After July 20th 2010 I'll pick two people that deserve the cards the most. Here's a photo of the package I got. Yeah, it's real! And free, as in free beer! I deserve a copy so that I can properly invest in optimising my VST plugins. Along with this it would allow me to get more into C# and other more advance .net stuff more and that could lead to a job in programming one day! I deserve a copy because I could only afford a limited MSDN license (Action Pack) that doesn't include Expression (Blend) nor Azure benefits, which is a real bummer when developping for Windows Phone 7. I do have open source projects on codeplex.com, and plan to move some of them to the #wp7 platform. I'm currently dedicated to #wp7 development. Die Version würd mir bei meiner Entwicklung eines Fitness Trackers fürs WinPhone (www.adonis-fitnesstracker.net - eine Portierung von Palm WebOS) und eines Party-Planners in Silverlight (www.withbringsel.net) um einiges erleichtern. Vor allem die Expression Design Produkte. Mal davon zu schweigen die nahtlose Integration von TFS, VS, Blend, Sql Server etc. Drücke allen Kommentatoren die Daumen. Wahnsinn was Microsoft und du einem hier anbieten. Thumbs up!! It would be nice to have an unlimited license of MSDN because I am about to release an open source framework called HippoTrader. There are not many open source blackbox frameworks in .NET. Tradelink is one, and not bad, but too focused on a specific problem set. HippoTrader is the framework that I have used several years for my clients. I am open sourcing it because I am going to do my first algo-webinar (stockguy22.com) 17-July 2010. In this webinar I will talk about how people can write their own automated trading systems for free, and will be basing it on HippoTrader. And since people will want the complete sources and the likes I have been readying this platform. I used to be a Microsoft Regional Director for Germany (about 10 years back). And still speak at Basta conferences (though quite a few less talks). What disappoints me in the .NET community (not the individual people), but the powers that decide is that financial is not the thing that they want to support. Yes yes they talk about the "ticker" application, but that is not blackbox algo trading. Blackbox algo trading has been the mainstay of C++, and now starting Java. I am the oddity with C#, and have proved that C# can be as fast as C++. It would be great to get a MSDN subscription because I by heart hate "keeping the status quo" and wants to learn new things in the .NET landscape every day. I started with .NET development three years ago and are already the lead developer "pushing" the envelope and makes the other developers in our department aware of possibilities on the .NET stack. I'm now moving on to Silverlight (and WP7) as my daytime job, and have also started playing with plugins (using MEF/Silverlight) for Seesmic. I keep open sourcing a lot of tools/apps which I create and pushes source code to github/bitbucket (both as lindsve). I'm not too involved with other open source projects yet, but I hope I'll find the opportunity to do so eventually. Well, I love programming, and I've been doing so for these 4 past years, not much, but I try to read blogs, articles, develop, etc nearly everyday. I guess I'm either lucky, or good at what I do, since got a developer job after just 6-8 months of starting to learn. I've been using .NET for two years an a half, and I'm the main developer training others inside the company, and improving, optimizing and porting legacy VB6 code. There is not much I've provided to the open source community, just some minimal fixes, enhacements, bug reports or plain suggestions to other projects, like AutoMapper, BVI, Babel, CodeProject posts, etc. I share some of my code, but sadly, with just the partner companies of my employer. Also, the couple of projects I've released are written in C# and VB, but are headed to other things that are not related to MS techonologies. I've got a little daughter and some other things to take care of, so I don't have all the time I'd like, and, of course, getting a subscription wouldn't change that, heh, so I don't know if I deserve one, it's something I consinder that could greatly help me to improve and continue learning, but I'm going to do so anyway, so whoever it is chosen will be fine with me. The profiler functionality, which is available in the Ultimate edition, would be extremely useful for my computer game & graphics endevours.. I can't afford it myself, and I've always shared my discoveries with the world through my blog .. So I would definitely be giving something back to the online community .. I have been fortunate to be awarded a MVP status for web development in DACH and my own subscription just expired a few days ago. It would be really great to get new subscription to be "in the know". I deeply passionate about sliver-light development. I thought SL 3 was good but not really best thing for building business applications and with the lack of internal controls it made the task do able just more difficult. SL 4 its very excited I like the idea of write once and to be able to package the same XAP file on WIN 7 phone as well as web application. I have completed and deployed an RIA application that is a dashboard for HR hiring in my former company. I would love the Visual Studio 2010 Ultimate MSDN because it would give me access to tools I currently don't have the funds to access. I am getting a Win 7 phone as soon as it is released. I am anxious about the marketplace for developing mobile applications as well as web. Even if I don't get the card I think its very cool you are giving this to the community. In the recently held WebCamps with James Senior & Scott Hanselman in Sydney, Australia, I pitched an idea for starting a not-for-profit website along the lines of nerddinner.com. The concept for this website is to share medical information by participating individuals such location of pharmacists, medical shops, hospitals, etc around the world. People with special medical conditions can benefit from this website when they are travelling to a new country. This website is currently being built with Microsoft ASP.NET MVC 2.0 (with Web Developer Express) & SQL Server 2008 Express. I also plan to build a Windows Phone 7 client so that the user can get an OData feed in to the phone before travelling, together with GPS on the WP7, it can be a very handy tool in a new country to locate a medical facility or a pharmacist nearby. There will be a Silverlight OOB application too. Once the website is live, I would like to host the code in Codeplex to share with the community. If I had a MSDN subscription, I could use Visual Studio Ultimate as well SQL Server 2008 R2 and Blend for Silverlight development. I would appreciate if you kindly considered my request. It is wonderful that you are sharing this gift from Microsoft with the community. Fist of all please accept my sincere regards. I also would like to congratulate for conducting this wonderful giveaway . 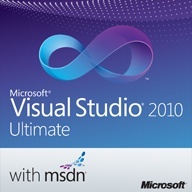 Reason why i want VS 2010? To be very honest i am not into codings and software development, but my sister needs it. She have just passed her B.Tech IT and she is now learning .NET in a private IT institution, they do not provide softwares so it would be great if you consider us for this giveaway. I am sure you'll ask me to get a dreamspark account for her, but to be very honest her college and institution was not into MS list, and even there faculty members are not very responsive in this matter ... So if we get this MSDN subscription then it would be really gonna help me and my sister for further studies. May be we are not the most deserving candidates, but i think if we were allowed to have this software then it will really help my sister to make her career in IT field. Rest depends upon you, Sir. There are many deserving candidates here; I'd like consideration in light of my job loss (20 years, same company! )due to a acquisition and reorganization in my company. I could use the tools from both a skill-sharpening and potential free-lance contractor perspective. I would appreciate your consideration. I'm not even going to try - I rarely win anything anyway. I think that there are many reasons, You could give me this subscription, I'll try to focus on a few of them. Firstly, I am a blogger. My blog “Programming and technology” (http://maciej-progtech.blogspot.com/) is about .NET programming. My articles might be more interesting if I have Ultimate MSDN Subscription. Secondly, I am an active member of some .NET communities like: http://ms-groups.pl/lodz/default.aspx , http://www.codeguru.pl, http://www.codeproject.com/, http://dotnetomaniak.pl/. I could support better those communities if I had this subscription. The next think is that if I know the differences between Visual Studio Ultimate and Professional, maybe I could try to persuade the management (in the company that I am working) to use Ultimate, not Professional VS. I think that I could provide many more good reasons but I do not want to make you bored. I am a one man show in web app development. Adhered to the websparks, so I do have the premiun edition which allows me to develop and test ok. But for designing the systems applications from scratch we need the ultimate edition of VS2k10. That or go back to VS 2k8 where the full range product is available in the Team System edition. Or utilize 3rd party apps. but they don't integrate so fluently into the IDE hence productivity is lost by adapting what one does in one application to the other. In a brief statement: with VS2k10 ultimate ed. I could in one simgle aplication plan,gather requirements, make them into application design and system design plus user requirements or stories. UML design the different areas from DB to GUI and seamlessly integrate all this by generating the stubs for the code/classes/interfaces needed to start production while at the same time keep an open mind and utilize techniques that allow for better implementations such as TDD and keeping documentation to a minimal though extremelly effective. I would use this Subscription to build practice apps to learn from as i am new to development(Considering latest technologies from Microsoft). The benefit that i would bring is it would helpful in me training myself and thus would be useful for me in getting into a new job in which i would be helping other people. I need this very badly as i am poor, seriously underpaid .Net Developer who is not able to afford VS 2010 ultimate edition.!!! My dream application is to built Bus Ticket System which would be helpful to book the ticket anywhere from the world to any destination in the world. (of course where the bus goes!!!). I wish to build this application in Web(Silverlight), Desktop(WPF-WCF) as well as in Mobile (For Windows Phone 7). I already got a subscription from a MVP here in Norway, so it would be nice for everyone if you just skip me in the considerations. I would use this subscription to be able to continue working on the Open source Silverlight HVP Project. I would use it to continue working on open-source projects and learning new things so I can contribute any new knowledge to the community. Being a part of the community is what makes .NET and development in general a fun place to be. It's like being a part of a huge family. Yes, i agree with your concept. Its really ultimate gift card. I would use this subscription to work on these concepts deeply. Thanks for sharing nice information about visual studio information and web development. Awesome post. I deserve a copy because i am a student and want to learn much thing related to Microsoft technologies or based on microsoft technologies. if i have it is better experience.